PLEASE NOTE THE EVENT TIMES HAVE CHANGED!! I have been invited to attend a Springbok Meal, which is a first for me and I would like to go. Therefore I won't be able to host this event past 5:30pm on Saturday and there won't be time for the braai. We'll just do snacks and the sharing and hopefully some fun making caches. Come and join us for a very special event. 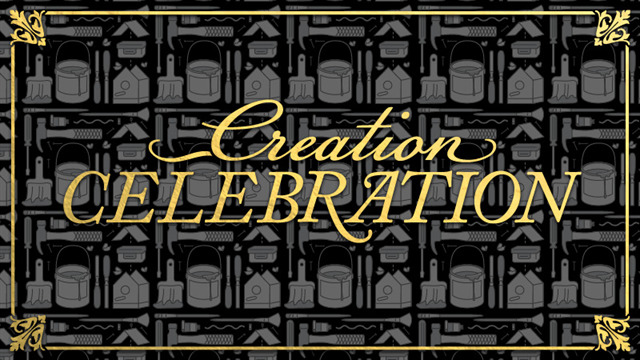 This is your opportunity to form part of the "Creation Celebration". Bring your intriguing cache hides, your hilarious cache stories and share with your geocaching community. There will be a 30 minute session on tips and sharing of knowledge when it comes to cache prep. and cache hiding in Johannesburg. We will also spend time on discussing the Tools of the Trade needed for caching trips. We invite all attendees to bring along containers which they would like to convert into a cool hide. Let's share ideas and be creative. Also, please bring your tools so that you can share with everyone. This event is about sharing and encouraging new and innovative hides in a high muggle city. If you are able to, bring a newbie friend so that we may teach them all about the correct etiquette of hiding geocaches. Also, each team will be given 5 geocache containers to hide in the north of Johannesburg in the hope of stimulating some new hides for all to enjoy finding. There will be a brief "Make your own cache" session for 30 minutes during the afternoon - I'm not sure when I will be able to fit it in! Bring along your own drinks, There won't be time for braaiing any more, but I'll put out snacks and chips to nibble on. Very happy to share that this Event qualifies for the Creation Celebration 2019 Event SOUVENIR!